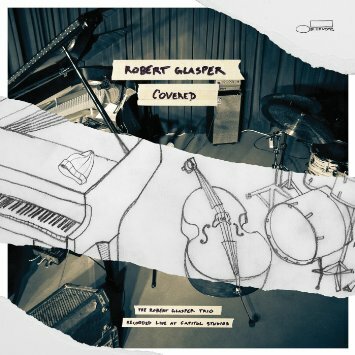 The Robert Glasper Trio’s Covered is a less ambitious project than Snarky Puppy’s Sylva, but it too trades on a creative combination of live and recorded modes. There has been a satisfying symmetry to Glasper’s catalog since his debut for Blue Note in 2005; his 2009 Double-Booked—a double album featuring both his acoustic trio and his electric quartet The Experiment—is a fitting pivot point from his first two albums to his groundbreaking Black Radio releases. This sixth album sees him reuniting with his original trio, featuring Vicente Archer on bass and Damion Reid on drums, but the repertoire and approach foreground the style and aesthetic he has cultivated through his more recent work. Covered was recorded in front of a live audience at Capitol Studios in Hollywood. It was released on CD, as a digital download, and on vinyl. Companion videos of each track have also been released, one every two weeks, beginning shortly before the album dropped. Unlike Sylva, the videos do not seem to have been produced as a full-length film; instead, they can be viewed on Glasper’s Vevo page, YouTube, or on Blue Note’s website. The album is called Covered for a reason. Glasper states in the introductory track that he wanted the trio to interpret “things that are on my iPod,” and an eclectic set features tunes by the likes of Radiohead, Musiq Soulchild, Joni Mitchell, and Kendrick Lamar, as well as a couple of his own compositions, a standard (“Stella by Starlight”), and a spoken-word performance by Harry Belafonte. For fans of contemporary jazz, it is actually a pleasantly predictable collection of material. An affinity for Radiohead and Joni Mitchell among many jazz musicians is well known, as is the relationship between jazz and Philadelphia neo-soul. Glasper himself is probably best known for his new take on the blend of jazz and hip-hop, so the inclusion of the Lamar track as well as a new interpretation of his own “I Don’t Even Care”—which originally featured rapper Jean Grae—are not at all surprising. This latter tune is a strong start to the album, featuring a compelling solo by Glasper that begins with a leisurely melody and gradually builds into frenetic, two-handed unison lines. Other highlights include “So Beautiful,” which tastefully incorporates a voicemail recording of Musiq Soulchild thanking Glasper for choosing the tune and explaining the message he hoped to convey with it, and Jhené Aiko’s “The Worst,” which works well as a single. (The video for “The Worst” was released first in advance of the album, a savvy move, considering the original song has amassed over 60 million views on YouTube). Glasper sounds at home on the soul tunes “Good Morning” and “Levels,” and knowing that several of these tunes were written by dear friends—Glasper and Bilal began as classmates at The New School—makes listening to them especially affecting. “In Case You Forgot” is a sharp departure from the rest of the album in both length and style. 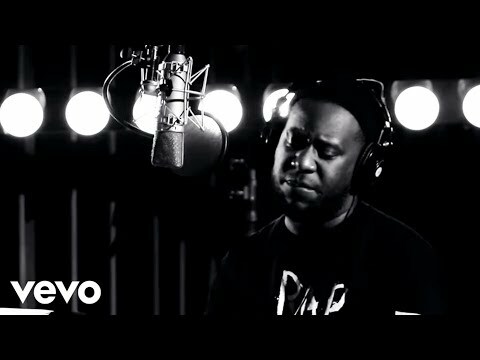 The performance shows off Glasper’s prodigious technique and depthless inspiration, and it provides some great moments of humor (as when he interjects snippets of Cyndi Lauper’s “Time after Time”—yet another pop tune familiar to jazz audiences—and Bonnie Raitt’s “I Can’t Make You Love Me”). It is also welcome as one of the few times that Archer and Reid have opportunities to shine as soloists. There are some unusual choices in the mixing of the album, moments where the interplay of the “live” and the “recorded” is a bit more awkward than intriguing. “Reckoner” has an oddly placed fade in the middle of Glasper’s solo, fading back in again after a cut to later on in the tune. Other tracks also end with fades, which elide the presence of the studio audience. Many albums recorded live seek to reproduce the experience of the original performance as faithfully as possible for home listeners, helping them imagine that they were there. This is not one of those albums. Instead, the value of recording live in this case is largely that it helped to cultivate a particular kind of energy in the music, privileging the spontaneous, unpredictable interactions between musicians and audience members, and reveling in the feeling of risk that comes from the knowledge that the first take is probably the take. Covered may be most memorable, however, for its powerful commentary on and contributions to the current movement against racial injustice. The album is dedicated “to the victims and the families of those who were wrongfully killed by the police,” and its closing two performances insist on the urgency of ending state violence against African-American people and communities. “Got Over,” invoking the gospel classic, features Harry Belafonte reciting a brief version of his life story. Lamar’s “I’m Dying of Thirst” incorporates recordings of children reciting the names of victims of police brutality. The juxtaposition of the voice of an aging Civil Rights icon recounting his perseverance and those of children reading the names of young people whose lives were taken is brilliant and deeply moving. Snarky Puppy’s Sylva and Glasper’s Covered are bold experiments in the complex relationship between live and recorded music, and both feature strong compositions, exceptional playing, and powerful messages. It is especially exciting that, for both ensembles, the majority of their music has yet to be played. 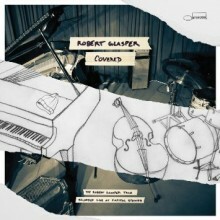 This entry was posted in Jazz and tagged Covered, Robert Glasper, Robert Glasper Trio by aaamc. Bookmark the permalink.